If you haven’t yet downloaded our app, here’s all the information you need to get and use it. 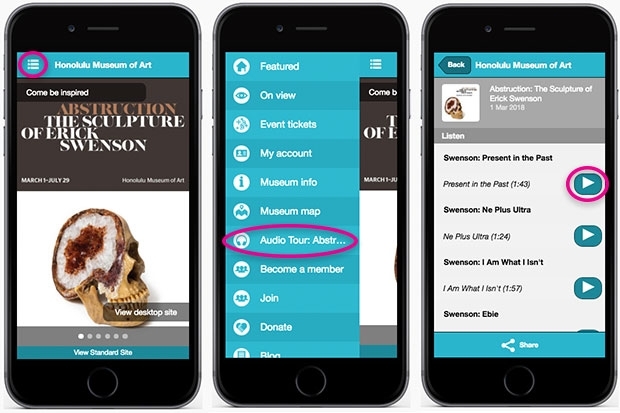 Once you’re in the audio tour section of the app press the play icon for the corresponding piece. As you walk into the exhibition space, the order of artworks with corresponding tracks is arranged clockwise around the right side of the gallery—look for the headphones icon on the title cards. Abstruction: The Sculpture of Erick Swenson is on view through July 29, 2018.